Sir David Bell became Vice-Chancellor of the University of Reading on 1 January 2012. Sir David's extensive 33-year career has included many of the UK's top education jobs. As well as being Her Majesty's Chief Inspector of Schools, he spent six years as Permanent Secretary at the Department for Education. Sir David began his career as a primary school teacher and later became a head teacher. He then moved to Newcastle-upon-Tyne, ending up as Director of Education and Libraries between 1995 and 2000. Sir David's last post in local government was as Chief Executive of Bedfordshire County Council between 2000 and 2002. As Her Majesty's Chief Inspector of Schools in England (2002-2005) Sir David oversaw the inspection system in England, encompassing schools, colleges, local authorities, teacher education and childcare. Sir David encouraged much more rigorous self-evaluation as part of the inspection system and led the introduction of new shorter, sharper inspection frameworks. As Permanent Secretary to the Department for Education (2006-2011), Sir David held the most senior civil service role in education in the UK. During this time, he served four Secretaries of State and three Prime Ministers. Under the first Coalition education minister for 60 years, Rt Hon Michael Gove MP, Sir David helped to implement one of the most substantial education reform programmes in recent times. Sir David spent a year as a Harkness Fellow at Georgia State University, Atlanta, in the 1990s studying education and local government reform across the United States of America. For two years in the 1980s, Sir David was a tutor on an Open University postgraduate MA in education management. Sir David became a Knight Commander of the Order of the Bath (KCB) in the 2011 Birthday Honours. Margaret (Maggie) Snowling is President of St. John’s College and Professor in the Department of Experimental Psychology, University of Oxford. Prior to moving to Oxford in 2012, she was Professor of Psychology at the University of York where she was Co-Director of the Centre for Reading and Language with Professor Charles Hulme. Her research focuses on children’s language and learning and she is specifically interested in the nature and causes of children’s reading difficulties and how best to ameliorate them. Maggie completed her first degree at Bristol and her doctorate at University College London. She is also professionally qualified as a clinical psychologist. She was awarded the British Psychological Society Presidents' Award (2003) and the Samuel T Orton Award of the International Dyslexia Association (2005); she is Past-President of the Society for the Scientific Study of Reading and former Joint Editor of the Journal of Child Psychology and Psychiatry. She served on Sir Jim Rose’s Expert Advisory Group on provision for Dyslexia and was an expert member of the Education for All: Fast Track Initiative group in Washington DC in 2011. She has been awarded honorary doctorates from Goldsmiths London (2010), University College London (2014) and Warwick University (2016) for contributions to the science of reading and dyslexia. Maggie is Fellow of the British Academy, Fellow of the Academy of Medical Sciences and Fellow of the Academy of Social Sciences. She was appointed CBE for services to science and the understanding of dyslexia in 2016. Christine is the Director of Research at the Centre for Evaluation and Monitoring (CEM) and Professor at Durham University, as well as a Fellow at the Wolfson Research Institute for Health and Wellbeing. Christine has extensive experience in the development of assessments (reading, mathematics, vocabulary) for children aged between 3 and 11 years. She has published research about the development of children in the early years and the prediction of their later attainment, including children who are deaf and hearing impaired. Her other research interests include the academic attainment and progress of severely inattentive, hyperactive and impulsive young children and ways to help them succeed in the classroom. After taking a degree from Cambridge University in Natural Sciences Peter Tymms taught in a wide variety of schools from Central Africa to the north-east of England before starting an academic career. He was “Lecturer in Performance Indicators” at Moray House, Edinburgh before moving to Newcastle University and then to Durham University where he is presently Professor of Education. Peter is an adviser to the German NEPS project, led the start of the Online Educational Research Journal and started the PIPS project. His main research interests include monitoring, assessment, performance indicators, ADHD, reading and research methodology. The PIPS project, which is designed to monitor the affective and cognitive progress of children through primary schools starting with a computer adaptive on-entry baseline assessment. Peter was Director of the CEM Centre until 2011 when he took over as Head of Department and Chair of the Board of Studies in the School of Education. At present he is devoting his time to setting up an international project designed to study children starting school around the world. The project is known as iPIPS. Richard graduated from Yale University in 1985. He is currently Robert O. Lawton Distinguished Professor of Psychology, W. Russell and Eugenia Morcom Chair and Associate Director of the Florida Center for Reading Research. Richard’s major area of research interest is dyslexia and the normal acquisition of reading. His work also addresses a variety of measurement issues and practical considerations involving assessment of constructs in the domains of language and reading. Richard is currently the principal investigator of a Multidisciplinary Learning Disability Center funded by the National Institute of Child Health and Human Development (NICHD). David Galloway was a Professor of Primary Education at Durham University from 1992-2001 and Chairman of the Board of Studies in Education from 1993-2000. He retired from his full-time post in December 2001 but has continued to supervise doctoral students and to give occasional lectures. From 2002-2005 he was Visiting Professor at the University of Stavanger, Norway, and published research on school and teacher influences on bullying in schools. This extended his previous work on provision for special educational needs, motivation and how schools influence children’s behaviour. His current research interests include education policy in relation to the Labour government’s Academies programme and problems of transition to secondary school in Tanzania. From 2008-09 he was an Advisory Professor at The Hong Kong Institute of Education. In 2015-2016 he taught courses and conducted workshops in Sierra Leone and Sri Lanka. He has (co) authored or edited 15 books and about 100 articles. Edmund Sonuga-Barke, BSc, PhD, FMedSci, is Professor of Developmental Psychopathology within Psychology at the University of Southampton. He is Director of the Developmental Brain-Behaviour Laboratory. He has visiting chairs at Ghent University in Belgium, Aarhus University in Denmark and the University of Sussex. His main research interests are in the causes and treatment of child and adolescent mental health conditions, with a particular focus on ADHD. Sonuga-Barke is Editor-in-Chief of the Journal of Child Psychology and Psychiatry. Paul is Senior Staff Physician to the Child Development Unit at The Children's Hospital, at Westmead Sydney Australia. He is Senior Paediatric Consultant to The Children's Hospital Education Research Institute, which he helped establish. Born in Wales, he trained in Britain and Australia with wide experience in general and subspecialist children's medicine. 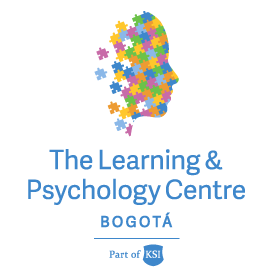 His particular interests in clinical practice, teaching and research are in communication disorders and behavioural problems, particularly in language disorders, learning and attention deficits and autism. He emphasises practical and positive approaches in professional support for the whole child and family. He has participated in many advisory bodies for professional practice and policy. He has lectured widely in Australia, Britain Europe, Asia and South Africa with various professionals and parent support groups. He has contributed internationally to guidelines for ADHD management, including collaborative resources for schools. He has contributed to national and state bodies for autism . He is a member of the International Advisory Panel for UK Neurosciences and Education Forum. Paul has been intensively involved in undergraduate, postgraduate and community education in the Hospital and outside. He contributes often in the media to promote evidence-based approaches. Past responsibilities in Australia include a home ventilation program, neonatal follow up, child protection, and as a physician to special schools. In 2009 he was awarded the Medal of the Order of Australia for his contributions to the interdisciplinary care of complex developmental disorders for children and families. In 2016 he was undertaking a sabbatical at Oxford University, including the Oxford Uehiro Centre for Practical Ethics and St Peter’s College. Duncan is a Primary Care Respiratory Society UK Executive, elected in 2006, and aa full time general practitioner and GP trainer in Thame Oxfordshire. He has worked in general medicine and paediatrics in London and Zimbabwe before entering general practice. Duncan has always had a special interest in asthma and respiratory disease. He has acted as an adviser to Buckinghamshire Primary Care Trust on respiratory issues. Duncan has a special responsibility on the Executive for the oversight of the policy work of the Primary Care Respiratory Society UK in liaison with the Policy Advisor and Executive.